Juniperus x pfitzeriana ‘Old Gold’ is a compact evergreen shrub with bronze-gold, scale-like foliage. Plants grow in a graceful, horizontal tiered fashion, giving them an architectural or sculptural feel. Perfect for creating a unique, low-growing focal point in the landscape. New growth is lacy and golden colored. Because of its tolerance to many city air pollutants, it is excellent planted in urban settings such as low-maintenance medians or parking lots. Old gold juniper can also be used to create a low-maintenance groundcover, low hedge or rock garden accent. Tip prune to maintain its compact growth habit. 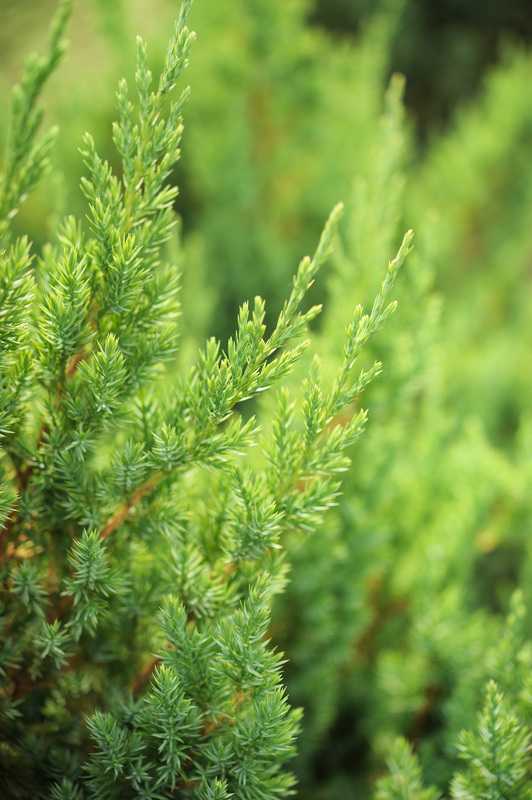 This juniper grows best in well-drained soil in a sunny location. While ‘Old Gold’ requires regular waterings to look its best, it does not thrive in wet or water-logged soils. Plants can succumb to root rot or pests if stressed by overly wet soils. While it holds up well to many pests and diseases, juniper varieties are sometimes susceptible to tip and needle blights, aphids, bagworms, webworms and scale. Good cultural practices and planting in the right location will help minimize these issues.